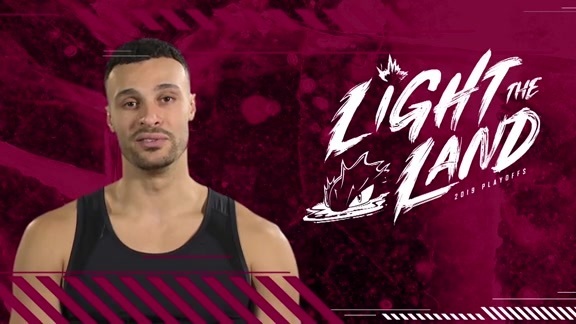 CLEVELAND, OH – The Cleveland Cavaliers have acquired guard Jordan Clarkson and forward Larry Nance Jr. from the Los Angeles Lakers in exchange for guard Isaiah Thomas, forward Channing Frye and Cleveland’s own 2018 protected first round pick (protected 1-3), Cavaliers General Manager Koby Altman announced on Thursday from Cleveland Clinic Courts. “Jordan and Larry add athleticism, energy and length to both ends of the court for us. This trade is also a reflection of our continuing commitment to invest in our roster in ways that help us evolve and compete at the highest level now and into the future,” said Altman. Clarkson (6-5, 194) has appeared in 53 games (two starts) for Los Angeles this season, averaging 14.5 points on .448 shooting from the field, 3.0 rebounds and 3.3 assists in 23.7 minutes per game. He ranks second in the NBA in points per game off the bench (14.4) and has scored in double figures 39 times in 2017-18, including 12 games with 20 points or more. The 6-5 guard has averaged double figures in scoring in each of his four seasons, owning career averages of 14.3 points, 3.3 rebounds and 2.9 assists in 28.1 minutes over 273 games (138 starts). The fourth-year guard from Missouri was the 46th overall pick in the 2014 NBA Draft by Washington before being traded on draft night to the Lakers, where he went on to earn NBA All-Rookie First Team honors. Nance Jr. (6-9, 230) has played in 42 contests (17 starts) for the Lakers in 2017-18, averaging career highs in points per game (8.6), field goal percentage (.601), rebounds per game (6.8) and steals per game (1.40) in 22.0 minutes. He has six double-doubles and has scored in double figures on 17 occasions this season. The Akron, Ohio native was the 27th overall pick out of Wyoming by Los Angeles in the 2015 NBA Draft and owns career averages of 6.9 points on .547 shooting, 5.7 rebounds, 1.2 assists and 1.16 steals in 21.6 minutes per game. Thomas (5-9, 185), who was acquired by Cleveland on Aug. 22, 2017, played in 15 games (14 starts) with the Cavaliers this season, averaging 14.7 points, 2.1 rebounds and 4.5 assists in 27.1 minutes. Frye (6-11, 255) has appeared in 144 contests (19 starts) for Cleveland since being acquired by the Cavaliers on Feb. 18, 2016, averaging 7.5 points and 3.4 rebounds in 16.6 minutes. He was also a member of the Cavaliers’ 2016 NBA Championship team. 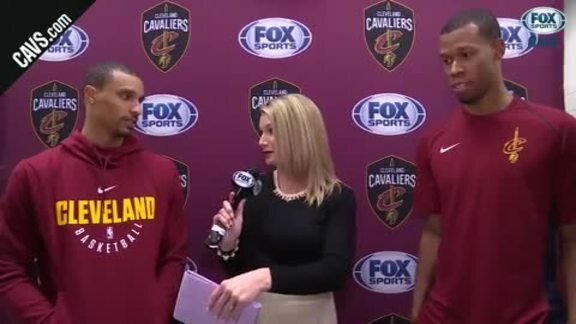 Newly acquired guards George Hill and Rodney Hood speak with FOX Sports Ohio’s Allie Clifton about joining the Wine & Gold. 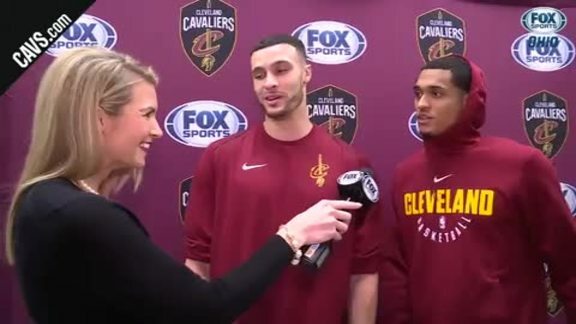 FOX Sports Ohio’s Allie Clifton caught up with the newest Cavaliers, Jordan Clarkson and Larry Nance Jr., to discuss coming to The Land. 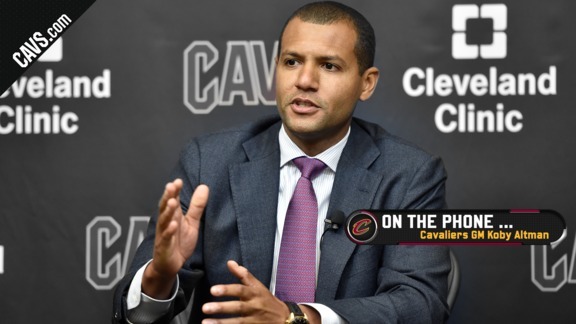 Cavaliers General Manager Koby Altman discusses the moves made by the Wine & Gold as the NBA Trade Deadline comes to a close.